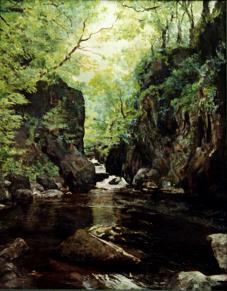 This site is dedicated to the works and art of Claire Halliday a premier landscape artist from Wales. The works presented here are samples only. If you are interested in finding art by this outstanding artist or would like to enquire about custom commissions please see the Contact page for more information. Don’t forget to visit the Gallery for more examples of Claire’s fine work. All works and images Copyright © Claire Halliday, all rights reserved.